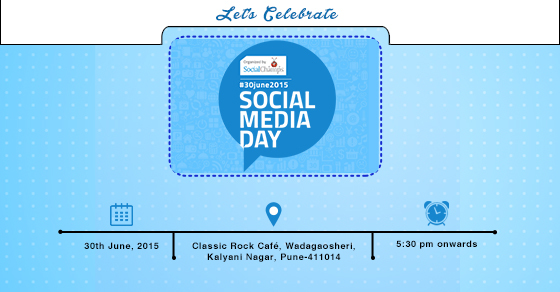 30th June which is declared as SOCIAL MEDIA DAY by Mashable also added to traditional yearly calendar. #SMDAY is being celebrated for the 6th time around the globe and 2nd time in Pune for its persistent growth and success. 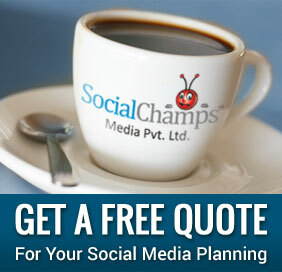 We are giving a Tribute to “Social Media” which gave us a whole new industry to work and grow. And we are sure, that you all would be equally excited to celebrate this event with us. Our agenda is to bring this day with remarkable memories for each one of us. Enjoy this day with new people of same community. To find what’s common in us and how each of us is still unique !!! From jubilant speakers to fun activities, the day will stir you from beginning to end. Let’s know each other , Let’s know new social trend , Let’s explore our challenges and make this day grand!!! So please stay tuned for surprises waiting for you. Do you want to associate with us? SMDAY has lots of opportunity to explore and collaborate. Find your area of interest where you can help us in planning , optimizing and working on ideas to make this SMDAY celebration an unforgettable one. We are also seeking the sponsorship to help us make the experience better for attendees.This will also help you network with social media professional and know how you can improve your business. If you are interested to Sponsor, You can contact us HERE or Call Us on 020 65221977, +91 8275000222.